The Mahindra TUV300 Plus has officially been launched. As reported late last month, the prices of the TUV300 Plus start INR 9.59 lakhs (ex-showroom Delhi) onwards. The SUV is essentially an extended version of the Mahindra TUV300 sub-4 m SUV. The Mahindra TUV300 Plus has the same 2,680 mm wheelbase as the TUV300 on which it is based. 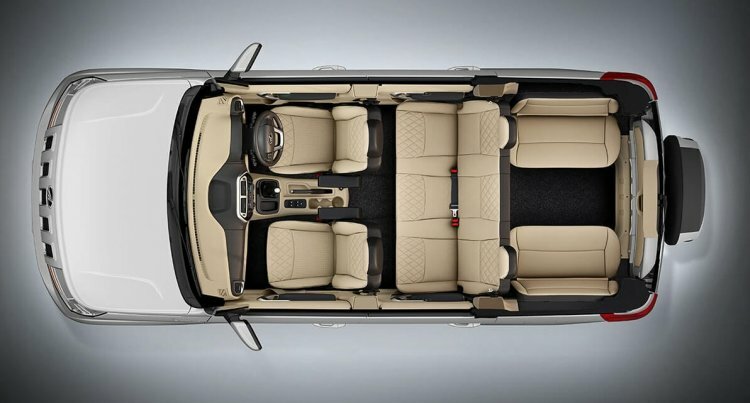 The increment in length over the TUV300 has helped accommodate bigger jump seats behind the second row taking the seating capacity up to 9. Select customers had already received their units of the Mahindra TUV300 Plus as early as December 2017. However, the official launch has only taken place now around 6 months later.